The 7th annual prize has been awarded to emerging curator Missy LeBlanc, for her project, Tina Guyani | Deer Road, which will be presented at the Art Gallery of Guelph from September 12 – December 15, 2019. 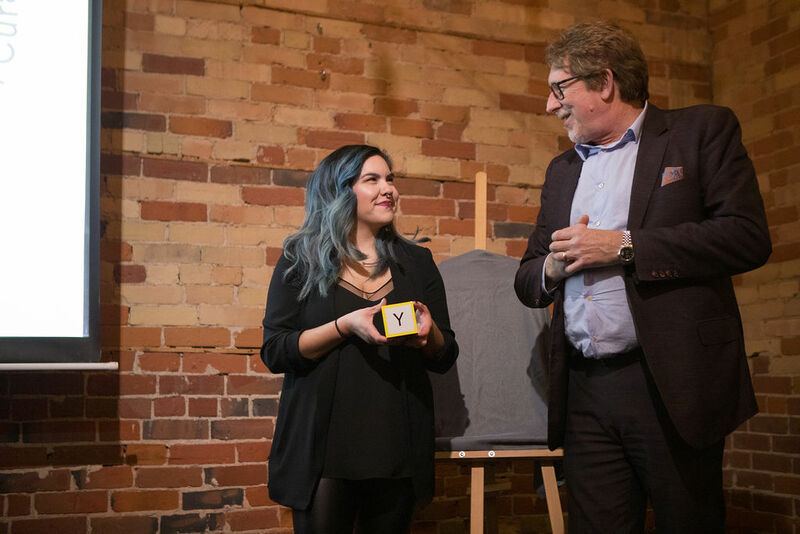 The award was presented at a gala ceremony at the Gladstone Hotel in Toronto on March 5, 2019. Created in 2012, the prestigious prize is awarded annually to an emerging Canadian curator. By supporting and mobilizing Canadian creative talent, the Middlebrook Prize aims to inspire positive social change through creativity in an era of ongoing and unprecedented economic, environmental, social, and cultural change. This year’s jury was composed of Michelle Jacques (Chief Curator, Art Gallery of Greater Victoria), Al Miner (Director/Chief Curator, Georgetown University Art Galleries) and Ryan Rice (independent curator and Associate Dean, Academic Affairs in the Faculty of Liberal Arts/School of Interdisciplinary Studies at OCAD University). Tina Guyani | Deer Road will feature new work by Glenna Cardinal and Seth Cardinal Dodginghorse, residents of Tsuut’ina Nation, and mother and son, whose works speak to the human impacts of development on First Nations land – and to how stories of loss also serve as generative grounds upon which better futures for Indigenous people and the land itself can be imagined. 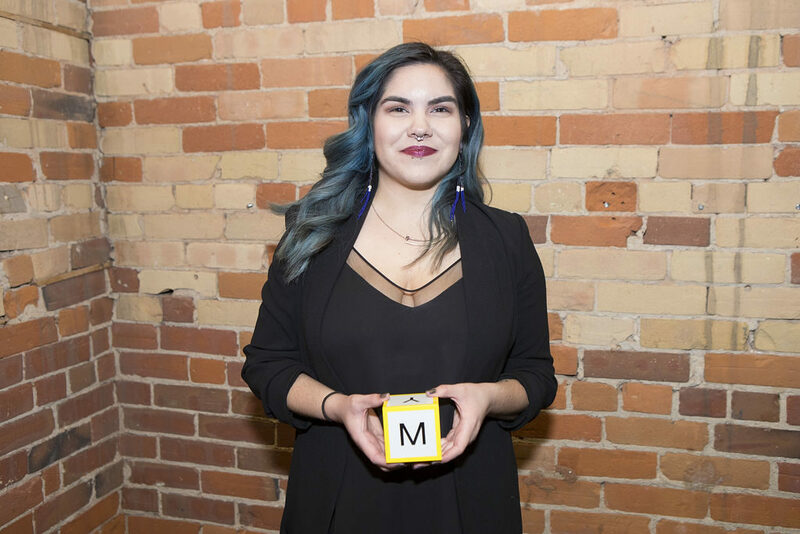 Missy LeBlanc accepts the Middlebrook Prize on March 5, 2019 during a lively gala ceremony held at the Gladstone Hotel in Toronto. the current Emerging Curatorial Resident at TRUCK Contemporary Art in Calgary as well as the Project Coordinator for Ociciwan Contemporary Art Collective based in Edmonton. She holds a BA from the University of Alberta, with a double major in the History of Art, Design, and Visual Culture as well as Sociology (2015) and a Diploma in Arts & Cultural Management from MacEwan University (2018). LeBlanc’s curatorial practice is centered around care and kinship. With each exhibition, LeBlanc uses her position of responsibility as a curator to center the voices and works of marginalized artists while maintaining a strong relationship with them. Recent curatorial projects include Reverberate (2018) and What is Known of Old and Long Familiar (2016), and she is currently working on an exhibition forthcoming this fall at TRUCK Contemporary Art. Mark your calendars for this fall, when Tina Guyani | Deer Road will be showing at the Art Gallery of Guelph from September 12 – December 15, 2019.